Building up a loyal following over many years to a small dedicated group of sea-cucumber enthusiasts from around the world could be an example. Today more and more people work in social media, crafting strategies, campaigns and trying hard to come up with the next big, great, funny, most watched, clicked and liked thing. To become a good magician along the trails you have to learn all you can about social media and practice a lot – learning both the craft, the tricks, the quick moves, the distraction-techniques and the timing of social media. All as part of the final goal of pulling enough smilies, likes and rabbits out of your black velvet hat to get the standing ovation, the money and the title of Social Media Magician. Social media magicians stay on this side of reality, safe inside their comfort-zone, only touching the screens that separate our world from the digital realm – doing their best to make it look like they can go much further into the digital world, stopping bullets and trespassing into unknown terrain, simply by carefully planning campaigns, manipulating and photo-shopping the impossible into the known. Magicians has always tried to make you guess what will happen next. But today with so many social media magicians around, all posting non-stop, most of can’t handle more card-tricks, sleek cat and surprising wedding proposal videos. The problem of social media magic is that we get tired of guessing about where the cat, the seagull, the grand-dad, company, the innovation, the emphatic boss, and the rabbit in the hat all went. 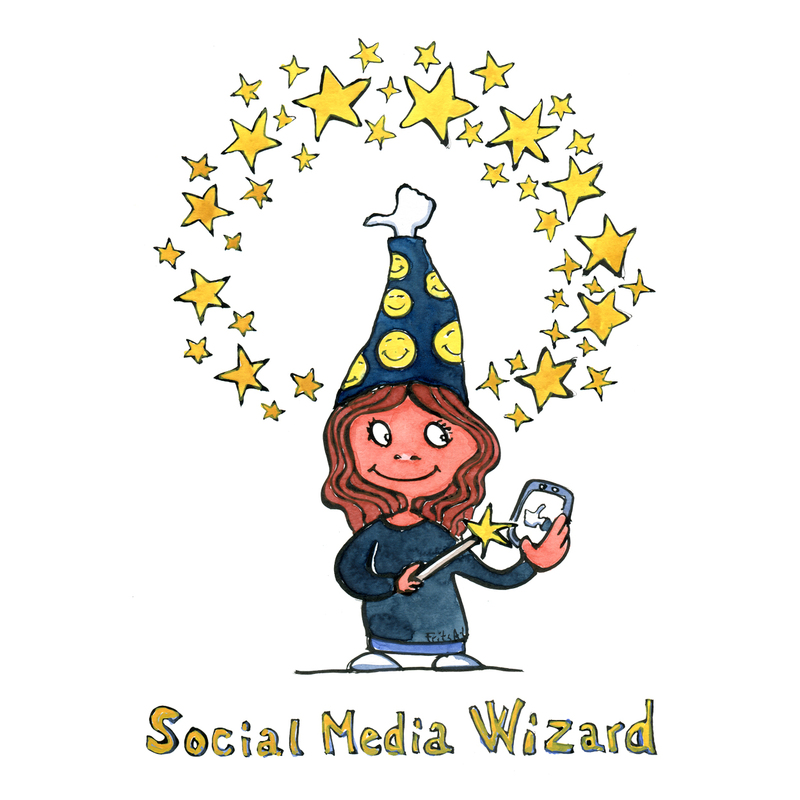 Social Media Magicians learn a craft, often based on a few well-tested digital techniques, tricks and strategies. 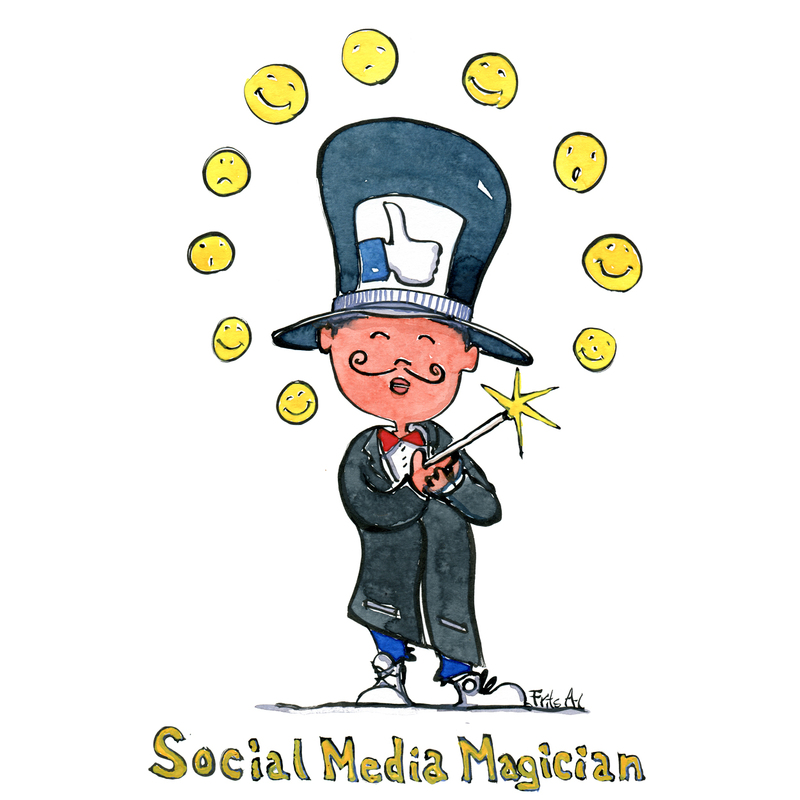 The best social media magicians have their own “signature tricks”. Things they do better than anybody else, techniques and approaches to social media that they become so well-known for that it become part of their brand. Social media magicians let users film You-tube videos where real customers, not actors, take part in the campaign, try to do the same tricks and guess what will happen next. The ever-lasting basic rule is to involve the users / audience and make them part of the story to make it more authentic. It is more engaging when it is a real car that is cut into half, a real family that gets their house refurbished over night or a real mom that gets the happy news. Use tags – Among the most used is that you have a certain tag that is associated with your event or show. A tag symbol # followed by a unique word, that people use to connect in the Social media world and lift the whole show of the ground. Use celebrities – Another much used technique is to have celebrities attend AND post selfies from the show. The Oscar Shows in the USA are among the users of this social media technique. Wizards are different from magicians. Most of the social media wizards can still pull rabbits out of hats, but they stopped doing the daily shows, stopped counting likes and and stopped collecting smiling coins and miles at the end of the day. Instead the social media wizards spend their time pushing their own limits and reaching much higher from within social media, creating new understandings of what is possible and experiment with how we can connect to and live in a digital reality – they are in many ways more scary than magicians, changing the way we interact with social media, both at home and on the trails. The wizards no longer try to manipulate the screens, but much more they work to understand the flow of digital reality through social media. Not for their own benefit and profit. 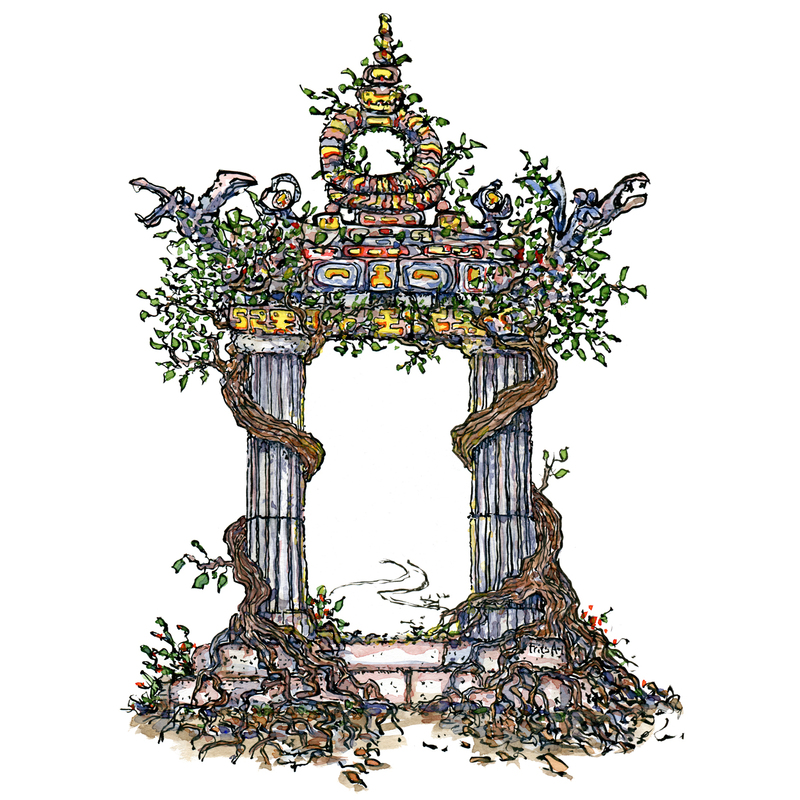 (like the social media magicians), Instead the wizards enter to become and take their part of something more challenging and strange. For them it is about the structure and the dynamics of a new reality. It is about going beyond the screen to connect to a different world. The difference is that Social media magicians connect back to the tradition of the classic stage magicians, doing their tricks and catering to a specific audience for a fee. While the Wizards connect back to the classic and now all forgotten wizards of ancient times. The Merlins, Jedi knights and Harry Potter types in storytelling and adventure. The classic shamans, druids, zen-masters and medicine men that used to be integrated in local society or lived at the edge of them as lonely wanderers. We still recognize these characters today from the many fairy-tales and fantasy stories inhabited by yodas, elvers, unicorns, dragons and other creatures from beyond science and time – and now they are back. In online fantasy games the wizards thrive like never before. The new thing is that slowly the worlds of storytelling and our modern scientific reality has started to reconnect faster and faster, and to an extend they haven’t reached in hundreds of years. Today science puts huge resources into dragging mammoths and dinosaurs back to life, huge amount of US-Dollars are spent every year to give hi-tech soldiers laser weapons, x-ray vision and other magical super abilities. In other places scientific departments experiment to understand how time warp around black holes and how to stop us from aging and instead turn us into eternal living, ever more connected systems of digital consciousness. And as our reality gets more and more digital based, and as virtual glasses, cubes, headsets, magical contact lenses and brain enhancing implants move further down the production lines around the world, these new technologies will change how we understand and experience reality, and make more room for the wizards to re-enter our understanding, paths and global community. Entering social media is just one small step in this direction for the wizards. And their kind might become more and more important, as we all head further on in this direction, connecting science and storytelling along new trails into something nobody seems to know how to grasp today.